Welcome to Sun Prairie Lacrosse's home on the web! Welcome to the 2019 Lacrosse Season! Indoor practices begin the week of March 4 @ Patrick Marsh Middle School. Practice for the week is as follows - all at Patrick Marsh Middle School. Tuesday: 14U 6:00 - 7:30 PM; All Girls Parent Meeting @ 7:15 PM. Practice from 7:30 - 8:30 PM. We can't wait to see you on the field! 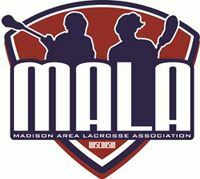 Welcome to the official site of the Sun Prairie Youth Lacrosse Club. SP Lax provides competitive & educational lacrosse instruction for players grades 2-8 in the Sun Prairie & surrounding areas. We offer boys & girls programs in multiple divisions: BOYS: 8U,10U,12U, & 14U, Senior Girls (Grade 6-8) and Junior Girls (2-5).